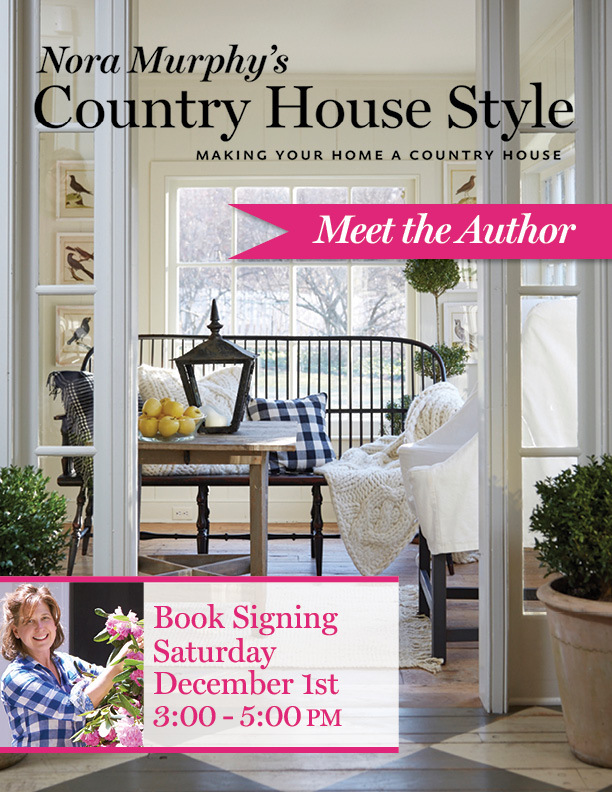 Meet author and powerhouse designer Nora Murphy and pick up her new coffee table book Country House Style at Goods & Curiosities ~ The Griswold Inn Store. Nora has an impressive background in interior design with stints at big name design houses, Ralph Lauren Home and Ethan Allen, before forming her own company, Nora Murphy Country House. Part primer, part wish book, Nora Murphy’s inspirational book, illustrated with beautiful photography, is a great gift for those who appreciate the country house aesthetic! Nora resides in a historic saltbox in Newtown, Connecticut.